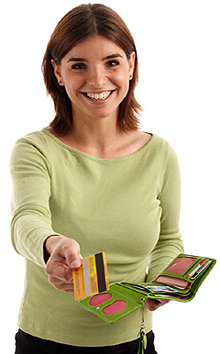 Wanting to accept cards for the first time or simply looking to switch? 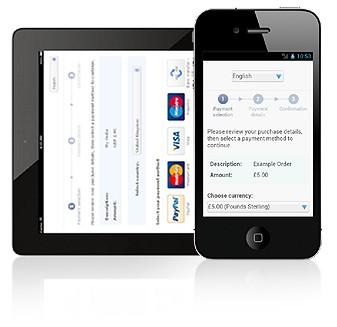 With so many ways to accept card payments, whatever your business needs we have the solution that's right! The rates are the same for all cards (Visa, MasterCard, Amex) and there’s no difference in fees between EU or Worldwide Cards. 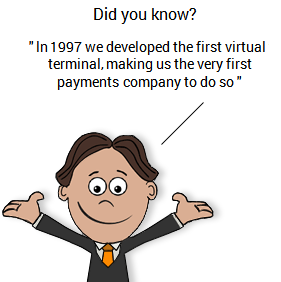 Therefore you will always know exactly what rate you will pay on each transaction. We don't show 'Introductory Offers'. The rate you receive is the rate you stay on. You receive our lowest rates all of the time. 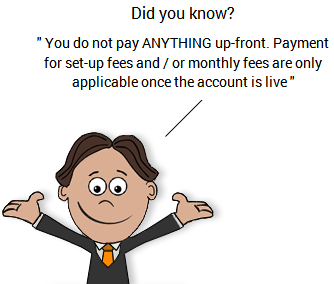 Plus our accounts do not hide a large number of terms and conditions and additional fees in the small print. As well as providing a merchant area allowing you to fully manage your account and request support, you will be allocated with a dedicated account manager. Not just here, but also at the acquiring bank we choose to use - each time supplied with a direct email address and direct dial phone number. This means that you get outstanding support throughout the application as well as once live and trading. With our Merchant Accounts we provide the ability for you to start accepting payments via mobile devices from your customers. "Thanks for the very quick replies throughout the application and making the whole procedure painless"
Can't find the right account? Our merchant and gateway accounts suit 99% of businesses. However we appreciate not every business is the same. With 20 years in the payments industry, and with a large network of acquirers, we are confident we can find you a solution that's a perfect fit for your business. We will always endeavour to find you the best value account with the most reliable support.